Loooove the vintage Disney photos and wonderful layout you've made with them. The papers are a perfect fit! Oh, how fun is this! I think you did a great job embracing the green tint and made a gorgeous layout. Priceless! This is really cute! Love the grey background and the gorgeous, more subtle colors for a Disney layout! Super page Mary Ann! I love hos simple it looks and the colors you chose! 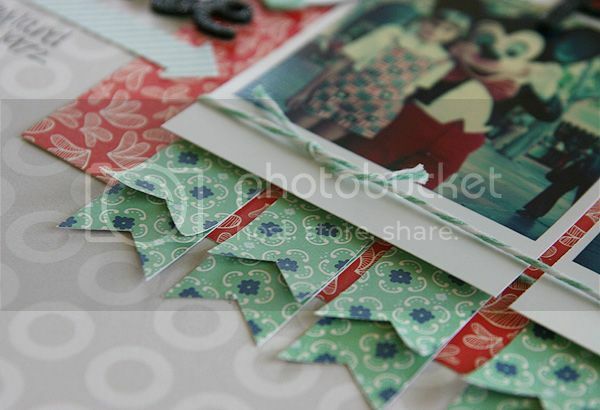 Love the big Ampersand on this Mary Ann and the little Teal banner with the Red patterned paper!